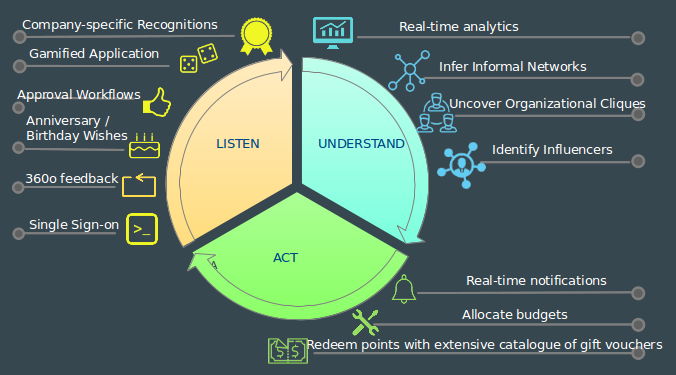 Continuous 360° Feedback and Recognitions Platform linked to Rewards. Create own recognitions, approval workflows, birthday/anniversary wishes. Identify influencers and leaders through our unique network analysis algorithms. Manage Budgets and much more! Organization success is driven by satisfied and motivated employees. Satisfaction and motivation can in turn, be enhanced through rewards and recognition. 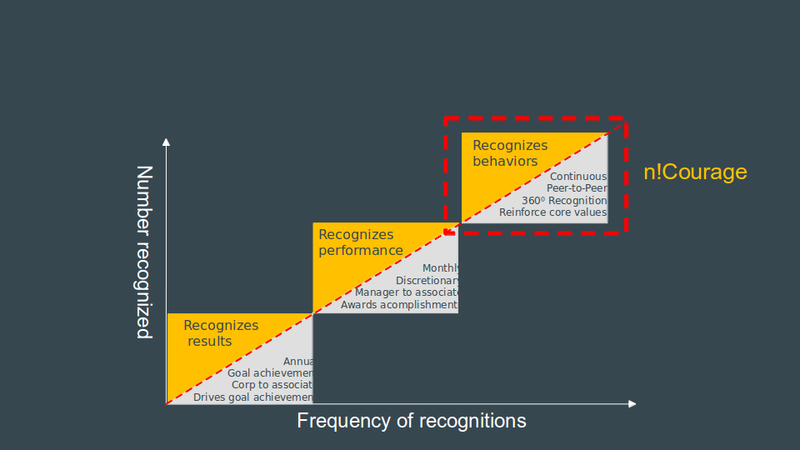 So what constitutes a high performance recognition system? What constitutes a high performance recognition and rewards system? n!Courage℠ provides a 360˚Feedback, Recognitions and Rewards platform. n!Courage℠ provides a 360 degree rewards and recognition platform. 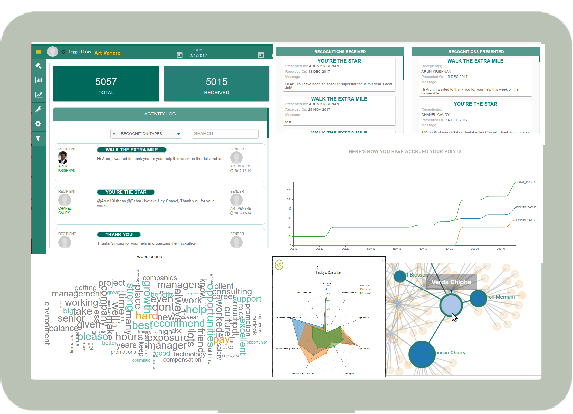 n!Courage℠ has real-time dashboarding and analytics that goes way beyond simple recognition platforms. Want to infer the informal networks that exist within your organization? Want to identify who your influencers are? Want to know if there are cliques developing within your organization? Then n!Courage℠ is for you! Contact us to schedule an n!Courage℠demo.